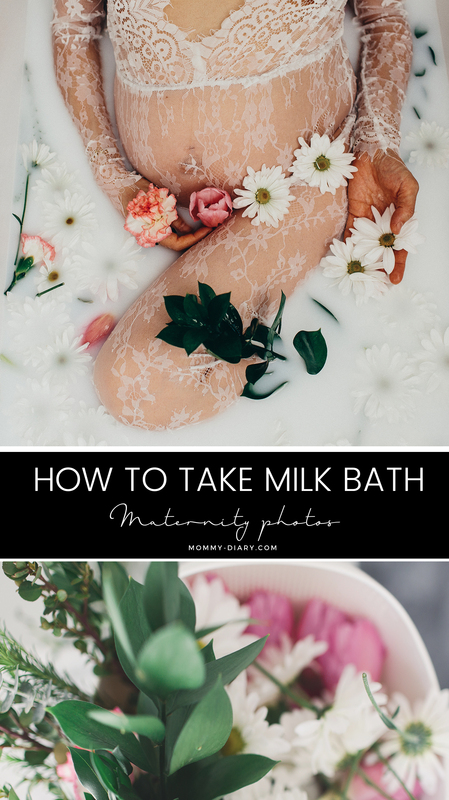 Today I’d like to share how to take milk bath maternity photos. When I saw these milk bath photos floating around Pinterest, I knew I had to try them! They are so feminine, beautiful and maternal- the perfect embodiment of pregnancy, don’t you think? Taking milk bath maternity photos are so easy, anyone can do them in the comfort of their own home! The larger the bathtub, the better. Try to find a bathtub that is near a big window with lots of natural light. Avoid artificial bathroom light or harsh lighting that casts unpleasant shadows on the objects. For my photos, the model is wearing lace dress from here. You can use any dress or drapery you’d like. I believe you can do this with milk powder but I used 2 gallons of regular milk. 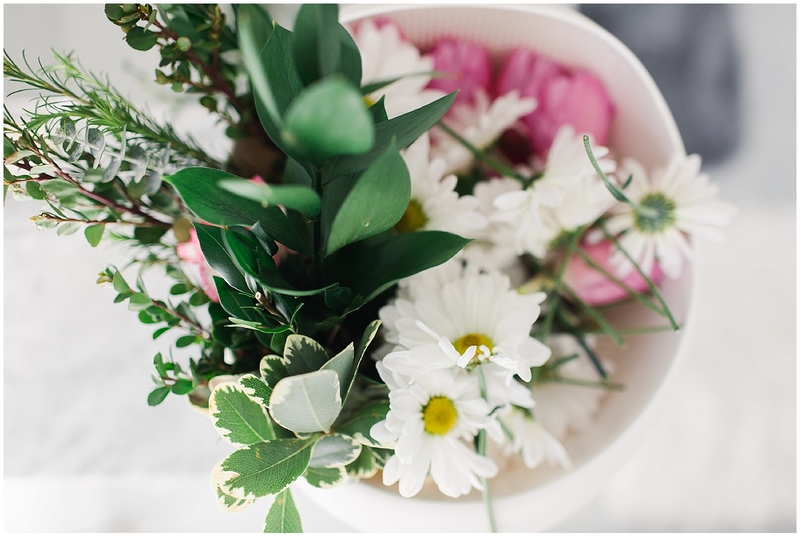 As for flowers, you can be as creative and colorful as you’d like. Try to play with texture and color. Add some greenery as this enhances the colors in the photo. In the end, this really depends on your personal style. Fill the tub with warm water then add milk. You can pour little at a time to control the color of the water. Then have the model step into the water BEFORE laying out the flowers because any movement can move the flowers around. 5. Style the flowers and shoot away! The flowers may begin to sink so be prompt with the shoot. It helps to have an assistant nearby to fix the flowers as needed. Movement has to be careful and slow as any small movement can move the petals around. That’s it! The entire process from beginning to end took less than 30 minutes. 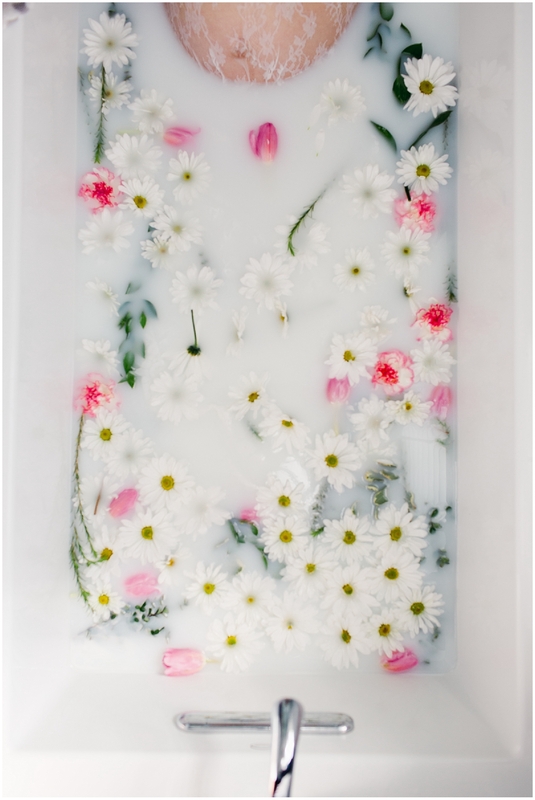 Milk bath photos are relatively simple and hassle free and anyone can take them in the comforts of their own home. Just be sure to have everything ready to go because you don’t have too much time to shoot before the flower petals begin sinking slowly. Here are some photos I got from this maternity shoot. If you’d like more photography tips you can find it here and for more maternity photo inspirations you can see here. What do you think about these maternity photos? Aren’t they so simple yet pretty? If you found this post helpful, please pin the photo below. It supports this blog by helping more people find this post. Thank you!